Penelope Fitzgerald, one of the most quietly brilliant novelists of the twentieth century, was a great English writer whose career didn’t begin until she was nearly sixty. Her life was marked by dramatic twists of fate, moving from a bishop’s palace to a sinking houseboat to a last, late blaze of renown. Her exquisite novels—short, spare masterpieces—would go on to win some of the most coveted awards in literature: the Booker Prize and the National Book Critics Circle Award. Now, in an impeccable match of talent between biographer and subject, Hermione Lee gives us this remarkable writer’s story. Hermione Lee is a biographer, critic, teacher of literature, and president of Wolfson College, University of Oxford. 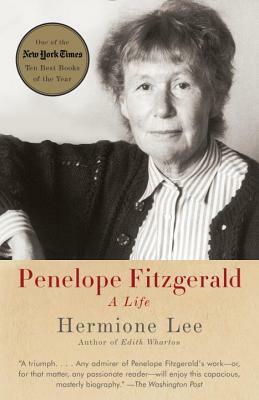 Among her many works are literary biographies of Willa Cather, Virginia Woolf and Edith Wharton, and Penelope Fitzgerald, which won the James Tait Black Prize and the Plutarch Award for the best biography of 2014. She is also the author of critical books on Elizabeth Bowen and Philip Roth. She is a Fellow of the British Academy and the Royal Society of Literature, and a Foreign Honorary Member of the American Academy of Arts and Sciences. She was made a CBE in 2003 for services to literature, and a DBE in 2013 for services to literary scholarship. She lives in Oxford and Yorkshire.